Education Secretary Betsy DeVos defended her decision to cut nearly $18 million from Special Olympics funding to create more charter schools. 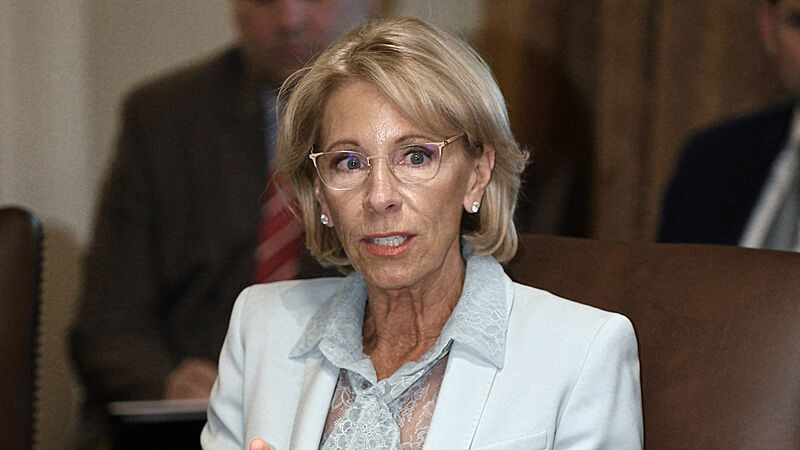 “We are not doing our children any favors when we borrow from their future in order to invest in systems and policies that are not yielding better results,” DeVos said Tuesday in front of a House subcommittee, via the Detroit Free Press. DeVos’ budget request was for the next fiscal year, where she proposed adding $60 million to charter school funding on top of creating a tax credit for people and companies that donate scholarships for private schools. She suggests $17.6 million will come from the Special Olympics funding, while the remaining $42.4 million will come from other education programs. “We had to make some difficult decisions with this budget,” she said. DeVos has received pushback for the suggested cuts, with U.S. Rep. Mark Pocan, D-Wisconsin, telling her that a recent report by a nonprofit found that the government has spent as much as $1 billion on charter schools that never opened or ended up closing due to mismanagement or other reasons. “Do you know how many kids are going to be affected by that cut?” Pocan asked DeVos. With the Democrats holding the House, it’s unlikely DeVos’ proposal will gain much traction and pass. Many of her budget cuts were turned down even when the Republicans held the House majority over the past two years, the Detroit Free Press notes.